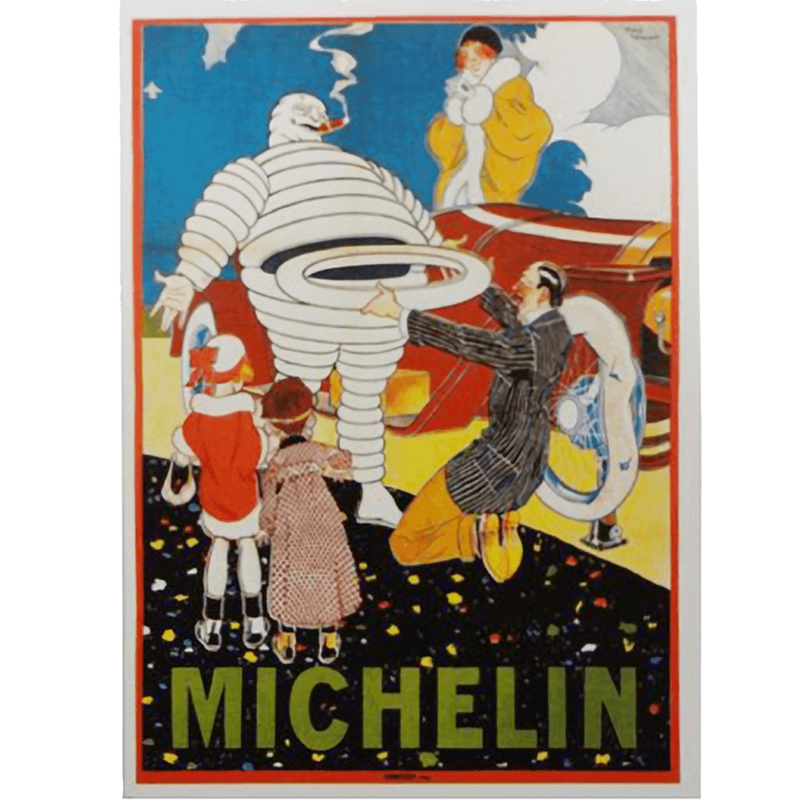 Put cool vintage Michelin style in your friends and family’s mail box. 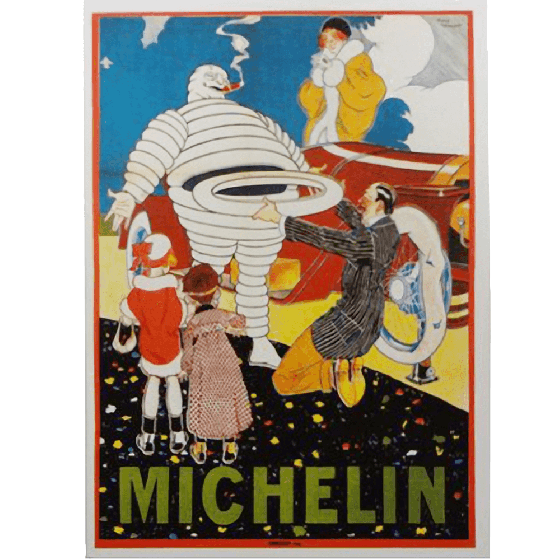 Michelin's famous “Bib Helping Motorists” vintage advertising art is reproduced on this high quality 4""x 6"" vintage post card design. Collect all six original artwork designs!